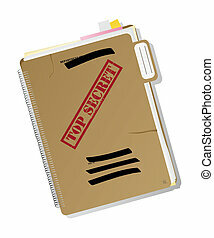 Dorsal view of military top secret folder with stamp. 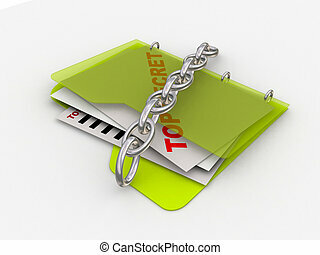 top secret folder isolated, clipping path. 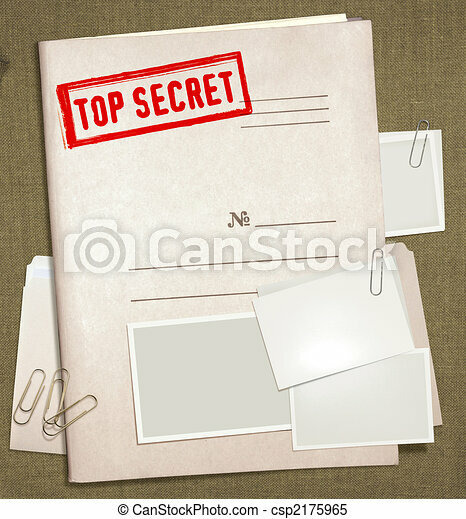 Top secret folder with files, notes and papers, isolated and grouped objects over white background, no mesh or transparencies used. 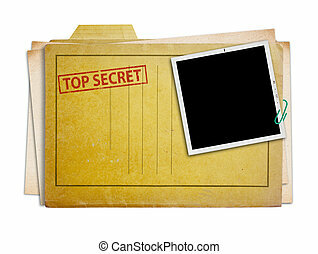 top secret folder with old photograph, isolated, clipping path. 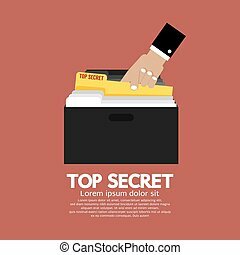 Top Secret Folder In Hand Vector Illustration. 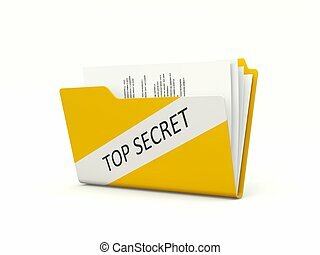 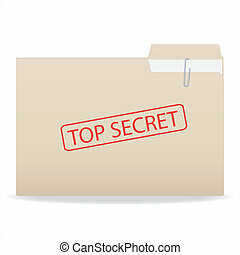 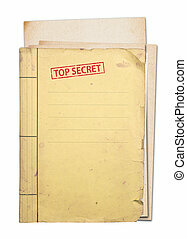 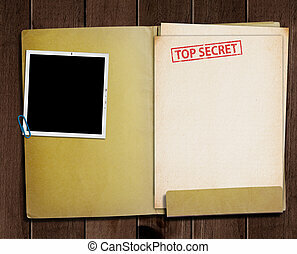 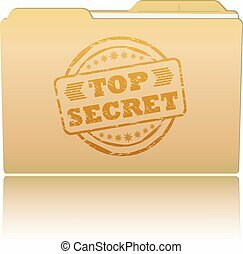 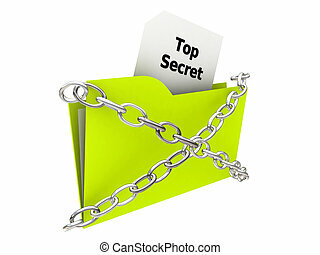 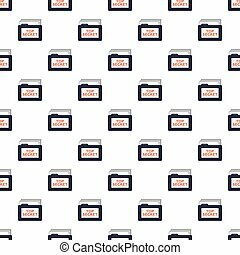 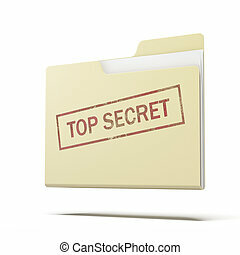 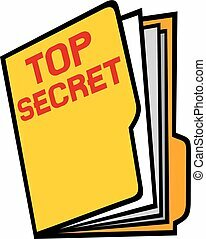 Image of a folder with a Top Secret stamp isolated on a white background.